A view across Dublin Bay from Howth Head at sunset. The near headland is Dun Laoire (or Dunlaoghaire). 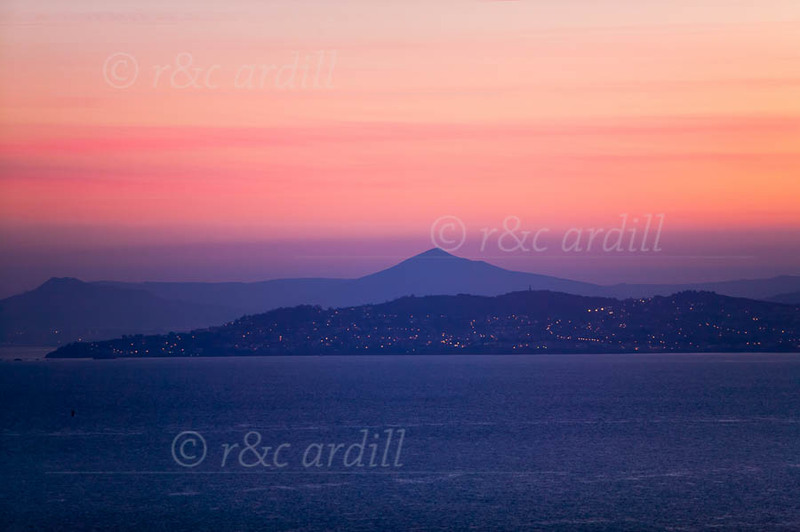 To the far left of the image is Killiney and Bray Head. The mountain at the center of the image is the Sugarloaf Mountain.